LEONG TENNIS ACADEMY’S school-year program is designed for competitive junior players at the high performance (advanced) or developmental (intermediate) level. 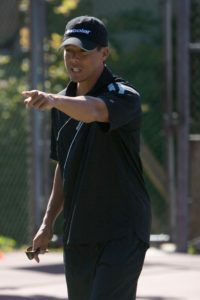 We help students lay out and achieve their goals while highlighting the fundamentals of tennis through good footwork, solid technique in stroke production and mental fortitude. As each player continues to develop their game, they are held accountable for putting in the hard work necessary for success while inspiring their fellow contemporaries to do the same. 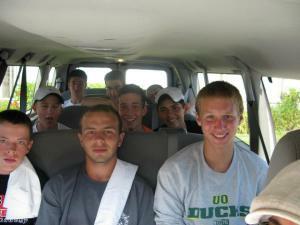 LEONG TENNIS ACADEMY is for the top-tier and highly motivated – we treat all members like touring junior professionals. Members must accept that the road will be long, hard, and filled with challenges – but have the faith and tenacity to persevere through to success. Player and coach will discuss ongoing training, and short and long-term goals. An individual development plan will then be created and implemented. On-court training runs for two hours, up to four days per week. Every player receives one private per month to schedule at their convenience. Training will always vary periodically to accommodate specific tennis needs. “Get control of your body and your mind will follow”. Champions have to deal with intensely stressful situations to get to the top. Pushing yourself physically is one of the best ways to deal with daily challenges. We help players harness stress and use it to their advantage – so it doesn’t use them. We train explosive, athletic movements that are tennis-specific – designed to help our players be faster, quicker, stronger, and more powerful on the court in competition. Here, our players will also gain valuable knowledge and skills to help build endurance, recover quickly, and perform at a high level without injury. This part of the program addresses the mental aspects of the game, and is covered every practice. 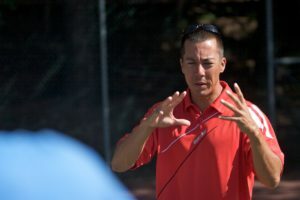 Players learn about game styles, strategies, and tactics; talk about short and long-term goals; discuss and evaluate recent matches they played or observed; and perform group projects on tennis-related topics. Gym training is booked in small groups or one-on one, depending on the level of the player. Players will learn what gym equipment is best used for tennis, and proper form and technique. Extra attention is given to warming up, including dynamic stretching and pre-habilitation for shoulders, back, and hips. Players will learn preventive drills with bands and tubes, and exercises to strengthen key areas to prevent common tennis injuries. This is possibly the most valuable aspect of the LTA program. No other program in the Pacific Northwest commits to competition training like we do. We travel with our players to out of town local and sectional tournament competitions and handle most travel arrangements. We help players prepare, watch them play, and critique their matches – then return home to work on areas that need improvement. The player-coach relationship is vital to success. That’s why we have a 9-month commitment requirement. Players and coaches are exclusive to each other during the commitment period. LTA doesn’t take any drop-ins and only accepts an exclusive number of players at each level. Intermediate TO Advanced Developmental Level : Juniors with intermediate and advanced competitive skills that compete at the USTA intermediate or just beginning at advanced level. Intermediate TO Advanced Developmental Level: Juniors with intermediate and advanced competitive skills that compete at the USTA intermediate or just beginning at advanced level. Elite/High Performance Level: Juniors with advanced competitive skills that compete at the USTA advanced, sectional or national level. 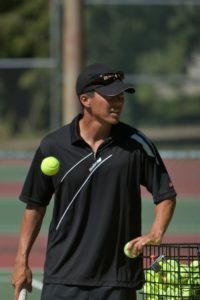 Intermediate TO Advanced Developmental Level: Juniors with intermediate and advanced competitive skills that compete mainly in Intermediate or are just beginning to compete in Advanced level USTA tournaments. For enrollment inquiry, program pricing, and policies contact us.